I did a review of Fern Green's book, Green Smoothies, a while back on my other blog. Now that there's finally good, fresh, local produce available, I thought it was time to start trying some out. 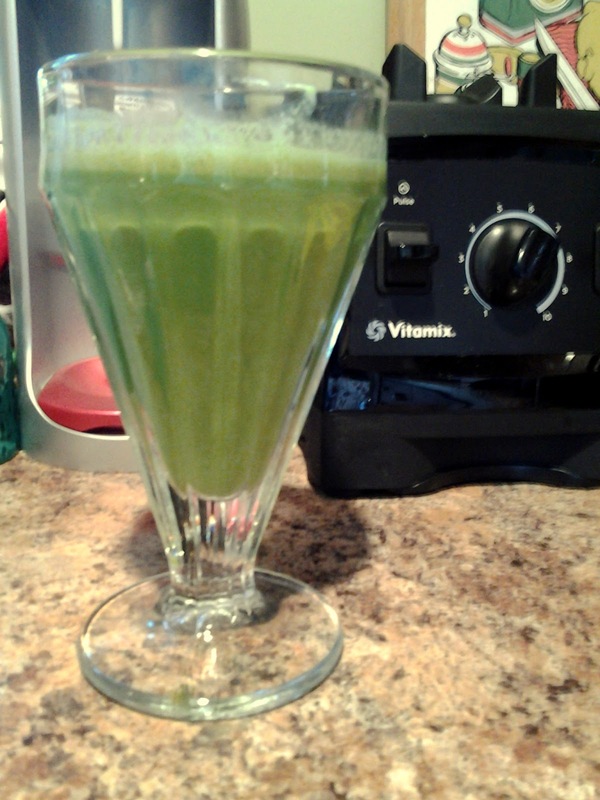 I adapted this recipe from Fern Green's Green Smoothies Morning Kickstart recipe: blend a handful of watercress + 1 peeled and deseeded lemon + 1 1/2 TBS wheatgerm + 1 1/2 TBS ground flaxseed + 1 TBS Bee Free Honee + 3 ice cubes.